The board is chaired by Nasim Beg who has extensive experience of over forty years in financial services, both locally and internationally. 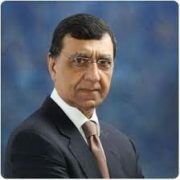 Mr. Beg is the founding Chief Executive of Arif Habib Consultancy and was the founding Chief Executive of MCB-Arif Habib Savings (formerly Arif Habib Investments Limited), a leading Asset Management Company of Pakistan. 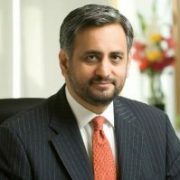 He also serves on the Board of Summit Bank Limited, as well as being the founding Chairman of the SECP sponsored Institute of Capital Markets and has also been a Member of the Prime Minister’s Economic Advisory Council. Mr. Beg is a Fellow Chartered Accountant with the Institute of Chartered Accountants in Pakistan (ICAP). Mr. Nadeem Riaz, Director and representative of the Dolmen Group, is the Chairman of Dolmen Group and is also a member of both International Council of Shopping Centers (ICSC) and Middle East Council of Shopping Centers (MECSC). 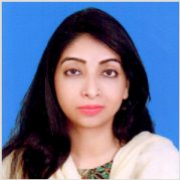 Mr. Riaz has experience of over 30 years in the real estate market. He has developed and managed renowned and award winning residential, commercial and retail projects. He is a pioneer in developing state of the art retail shopping malls in Pakistan, which transformed the dynamics of the retail industry. Mr. Sajid is a Fellow member of Institute of Chartered Accountants of Pakistan and is currently Group CFO at the Dolmen Group, one of Pakistan’s leading real estate group. Mr. Sajid started his career as Assistant Manager Audit at KPMG Taseer Hadi and Co. Chartered Accountants in 2007 and later joined Avery Dennison Pakistan (US fortune 500 company). His association with Dolmen Group started in 2011 and is now heading the finance function of number of other group companies as Group CFO. 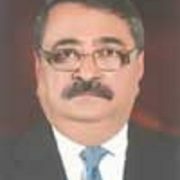 Mr. Qamar Hussain is an Independent Director. He previously served as the President of National Bank of Pakistan (NBP). He holds an MBA degree in International Business & Finance from McGill University, Montreal, Canada and has undergone extensive training in business leadership abroad. 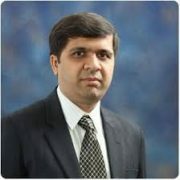 Mr. Husain started his banking career from Bank of America N.T. & S.A., Pakistan in 1981. 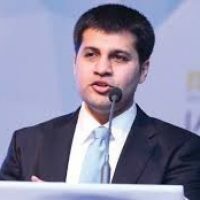 Prior to joining NBP in 2009, he worked with American Express Bank Limited as Senior Director Global Credit, New York and earlier as Senior Director Country Manager, Bangladesh. He had also been associated with the Chase Manhattan Bank in Pakistan and USA. Mr. Samad Habib, a Director and a representative of the Arif Habib Group, is currently the Chief Executive of Javedan Corporation Limited. Javedan is an associate company of Arif Habib Corporation Ltd and is involved in developing housing projects across Karachi with almost 1,300 acres of land under ownership. Mr. Samad started his career with the Arif Habib Group, and has more than 15 years of experience, predominantly in financial services. He has served at various senior management roles including Executive Sales and Business Promotions, Company Secretary and Head of Marketing. He has also held the position of Chairman and Chief Executive of Arif Habib Limited. Mr. Habib holds a Master's degree in Business Administration from the Institute of Business Management (IoBM). Mr. Faisal is a Director at the Dolmen Group, one of Pakistan’s leading real estate organizations. 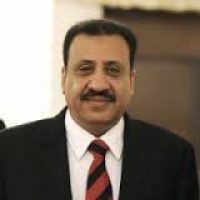 He has been involved in the development, marketing and management of prime commercial and retail real estate projects including Dolmen Mall Clifton, currently the largest shopping center in Pakistan. 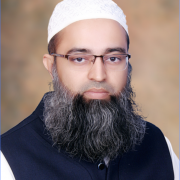 Mr. Faisal started his career at Al Feroz (Private) Limited as Manager Special Projects in 2008 and associated with the development of Dolmen Mall Tariq Road, Dolmen Mall Hyderi, Dolmen Food Courts, The Harbour Front Office Tower and Dolmen Mall Clifton. He later served in the capacity of Director Leasing, for the Dolmen property portfolio. He is currently serving as the Chief Executive Officer at DPL property management, which manages over 1.5 million square feet of prime retail and commercial space.